IKEA is recalling a popular dresser that can tip over and fatally injure children. 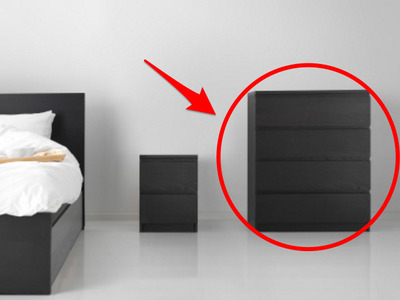 The recall, which will be announced on Tuesday, affects at least 27 million chests and dressers from IKEA’s “Malm” series, the Consumer Product Safety Commission (CSPC) told Business Insider. IKEA is also offering full refunds for the furniture if it was manufactured between 2002 and 2016. For older models, the company will provide a partial store credit. The “Malm” series furniture has been found responsible for the deaths of three children in the last two years. The company had warned customers about the possible dangers of the dressers in the past, and offered free anchoring kits to customers who had purchased the furniture. Despite the known dangers, IKEA continued to sell the dressers. With the recall, however, IKEA is now discontinuing sales of the furniture. IKEA did not immediately respond to a request for comment. A 22-month-old in Minnesota named Theodore McGee died in February when IKEA’s “Malm” chest of drawers toppled over on him. McGee was the third child who has died from a toppled IKEA dresser in the last two years. Four injuries have also been reported. A 2-year-old boy from West Chester, Pennsylvania, died last year “after a Malm 6-drawer chest tipped over and pinned him against the bed,” according to the Consumer Product Safety Commission (CSPC). Another boy was trapped and killed by a 3-drawer Malm chest.